S.G., wife of Fethullah Gülen’s nephew M.G. was detained over links to the Gulen movement, which the government accuses of masterminding the July 15, 2016 coup attempt, on Monday. Turkey experienced a military coup attempt on July 15 that killed over 240 people and wounded more than a thousand others. Immediately after the putsch, the Justice and Development Party (AK Party) government along with President Recep Tayyip Erdoğan pinned the blame on the Gülen movement. The group denies involvement. 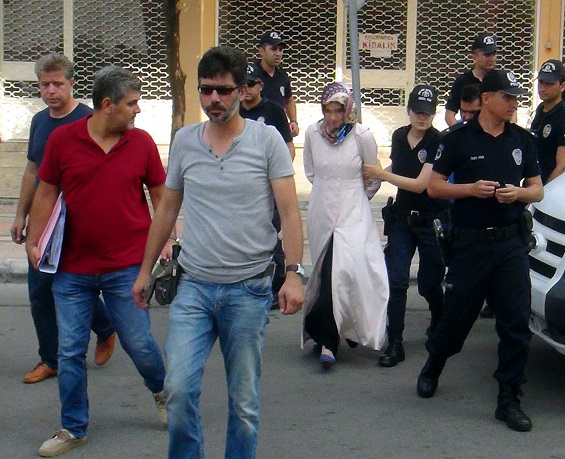 Detained in the western province of Izmir, S.G. has joined Gülen’s many other relatives previously detained or arrested as part of investigations into the movement.